The most important aspects of any groom are the bathing and drying techniques. Students will focus on handling of dogs, as well as basic prep grooming. Skills include; bathing techniques, de-shedding, brushing/combing, nails, cleaning ears, sanitary trims, condition evaluation, and introduction to equipment and products. The students will also be introduced to the various breeds and coat-types. 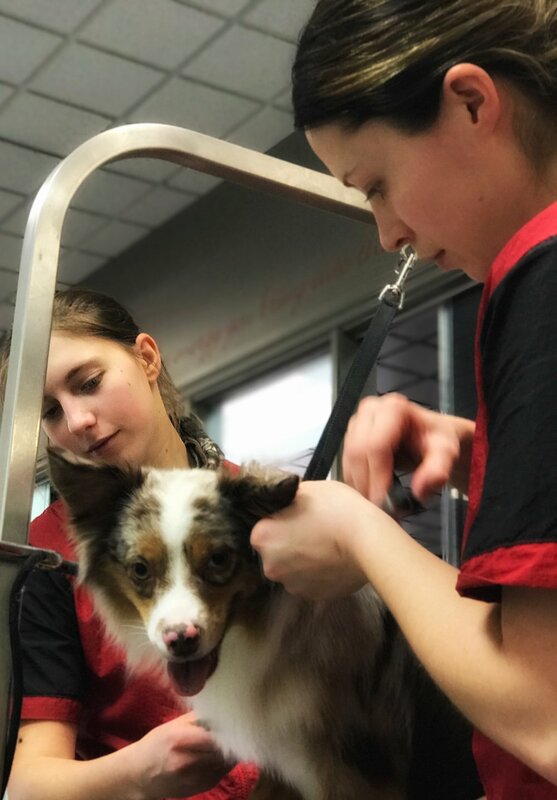 The objective of this program is to educate and prepare the student with the knowledge required to be qualified to enter into the dog grooming industry as a Grooming Assistant / Bather Brusher for any Professional Grooming establishment.